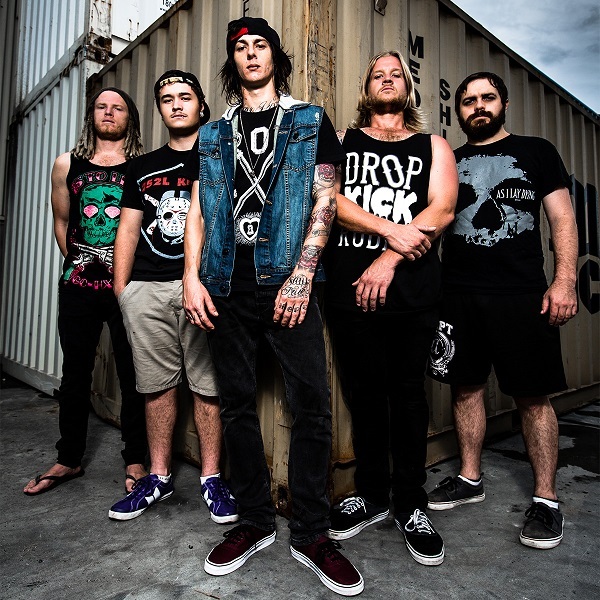 Brisbane, Australia’s A Breach of Silence came into existence in 2010 as a five-piece Melodic Death Metal and Metalcore group. Until their 2013 debut full-length through Eclipse Records, the band hadn’t issued a demo or any other small recording (at least that is recorded as existing anywhere), relying ly on touring and word of mouth. That first effort, Dead or Alive, didn’t really receive a great deal of attention, but did strike enough of a chord in certain circles to grow their already extensive fanbase even r. Today their Facebook account has nearly seventeen thousand likes, a number that will surely increase upon the release of their brand new album The Darkest Road in October of this year. But is this modern take on the genre continuing to expand on the anthem for a younger audience, or is this a far more matured offering that leaves the angst behind? Right away there are two obvious elements at work within The Darkest Road: Modern youth anthems and As I Lay Dying worship. The music found on this album has that similar signature sound of the latter band circa Shadows Are Security crossed when any sort of empowering atmosphere of what it means to be a member of today’s youth playing on any modern Rock station. That latter core principle is felt as soon as “T.P.N.E” kicks in with the chanting of the letters and their meaning of “The Party Never Ends.” Some mildly catchy hooks lead into your typical brief Metalcore breakdown, but what follows is some impressive drumming and fun riffs with enough enthusiasm to get your head bobbing along. Not all of the breakdowns really stand out though, as some are fairly barren and at a snails pace, but the quicker ones with a little more substance do work with the upbeat atmosphere the aforementioned creeping segments kill off a bit. “Silhouette” finds some riffs that share a Post-Rock input similar to those Caliban dabbled in with I Am Nemesis, right down to the emotional toll in the music with softer clean singing that doesn’t quite have the enthusiastic fun and upbeat push nearly every other track contains. There’s also a brief acoustic bit about two-and-a-half minutes in that sounds good until the screaming kicks back in over it that easily could have been left off. But then you get “Immortal,” which is an arguable performance all around. While most of it comes off like more of an Alternative Rock track, there’s enough edge and ballad power behind it to consider it something that could have appeared on the Iced Earth album Plagues of Babylon. Overall it isn’t that impressive and can wear thin after a while, especially when “A Place I Know” kind of picks up where it left off, but adds a little more melody and Metalcore influence to the final product. Of course (and thankfully for this reviewer) there are some songs that speak to all ages. “The Darkest Road” has a little more bite due to how much more serious it is compared to others. While this benefits the main verses in trying to make them more than just fun and catchy music, it also allows the chorus to become a lot more moody with some deeper hooks and darker lyrics about the ill-effects of doing things the easy way and how the harder route has more benefits if it works out. But then there’s the simply good Metalcore track “In Reality We Trust”. This is something you can just throw on and get lost in thanks to the one chord chugs of the main verses with additional leads over it, as well as your standard mixture of Melodic Death Metal and Metalcore with no real frills or gimmicks other than some rebellious lyrics that fit the general aggression with only a few lines of clean singing. 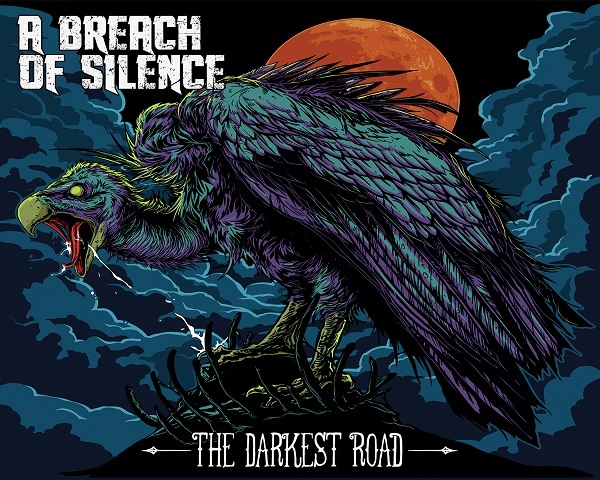 The Darkest Road isn’t that bad an album for a modern day Metalcore and Melodic Death Metal group, but their messages do seem to get as jumbled as their approach to the style. The start of The Darkest Road really does speak to today’s youth more than anything, though the title track “The Darkest Road” is something that will impact anyone at any age who ever opted to take the road less travelled. But by the time “Immortal” kicks in, you can’t help but notice a slow decline towards more radio friendly Rock and Alternative material that often isn’t anywhere near as meaningful. It also doesn’t help that this release spans across fourteen songs, clocking in at nearly one hour of music, which does make you wonder if some of the later songs were geared more to pad out the recording and entice people into buying it due to getting more bang for their buck. If that’s the case, A Breach of Silence prove the old adage of quality over quantity. But, overall, if you’re into the style and are in your teens looking for something that you can connect with or just have a good time listening to that isn’t all about violence or laced with non-stop Christian overtones instead of personal struggles or perseverance, The Darkest Road is something you may want to consider checking out. Digital review copy of this release provided by Eclipse Records.